It is amazing to look back and marvel at my journey over the past three years (which has really just involved staying put right here in Central Florida, but never-the-less it has been a journey). Fresh out of grad school for Graphic Design I landed in Sebring, FL where there is not surprisingly not much of a market for "Masters in Graphic Design." So I found myself on the road with my camera more and more often, partly because it was a job but mostly and whole heartedly because I loved it. I loved capturing the world around me and where I used to be scared of photographing people they, in all their life and raw realness, had now become my favorite subject. We are the world! Looking back at my 2010 records I had exactly 12 gigs between August (when I moved back to FL) and December of that year. It was a meager start. But it was a beginning. As I look over those names of families and the images we captured during that time my heart swells. You know who you are. <3 Thank you. 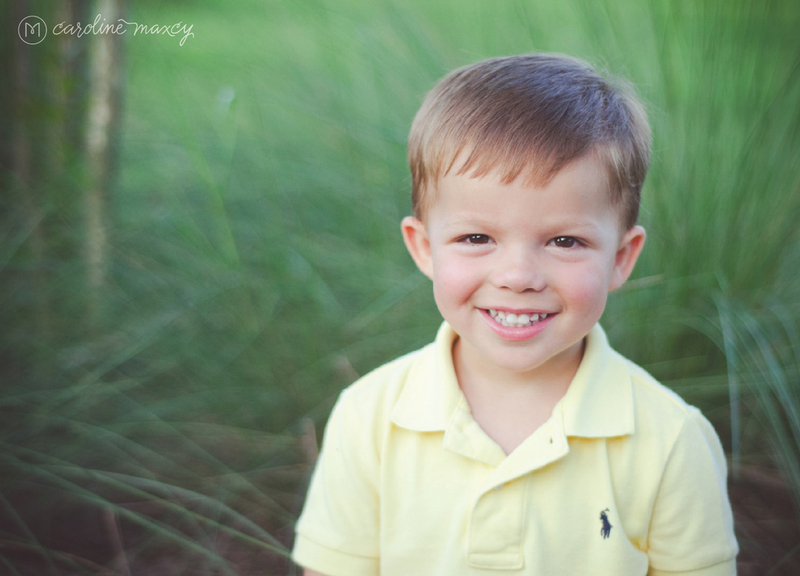 It is because of you, because of your willingness and faith to invest in my photography and eagerly share the beloved results that my professional journey began to take steps forward into the arms of photography. It is because of you that my business and art is what it is today. This doesn't pass by unnoticed. And the best part of all of this is that most of these families have invited me back in and I get to watch their families grow year after year. Back in 2010 one of the very first families I got to photograph (literally number 4 on that list of 12) was the Gose family and their 3 month old little, smiley guy Carter. 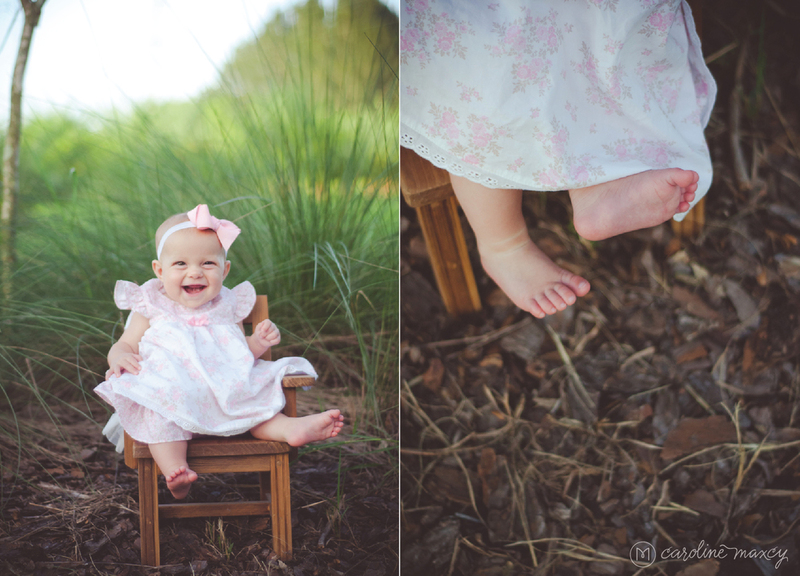 It was a lovely day on the family's Lorida, FL property complete with a wooden bench swing and tiny wooden chair constructed by Great Grandpa, the dappled FL summertime light and lots and lots of toothless smiles. 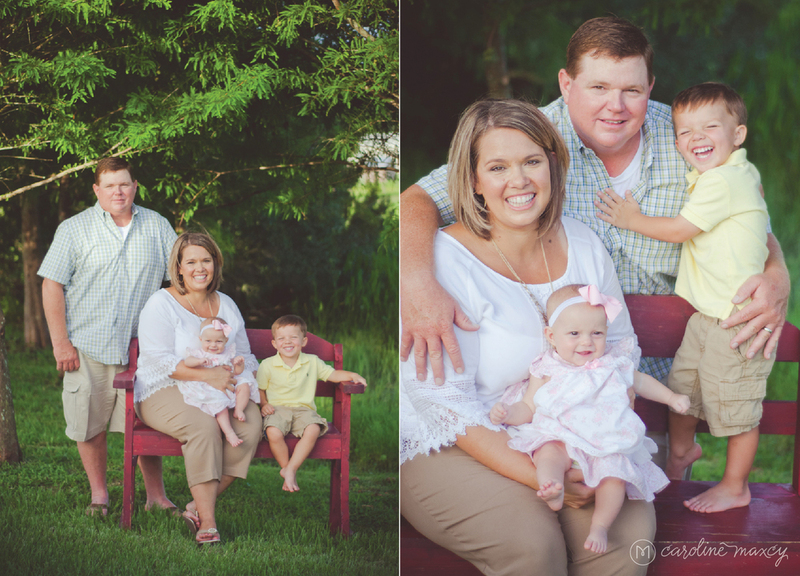 This past month I returned to that very same spot to capture a family that had grown. This time it was Carter's little 3 month old smiley sis Cooper that took center stage. What a doll! 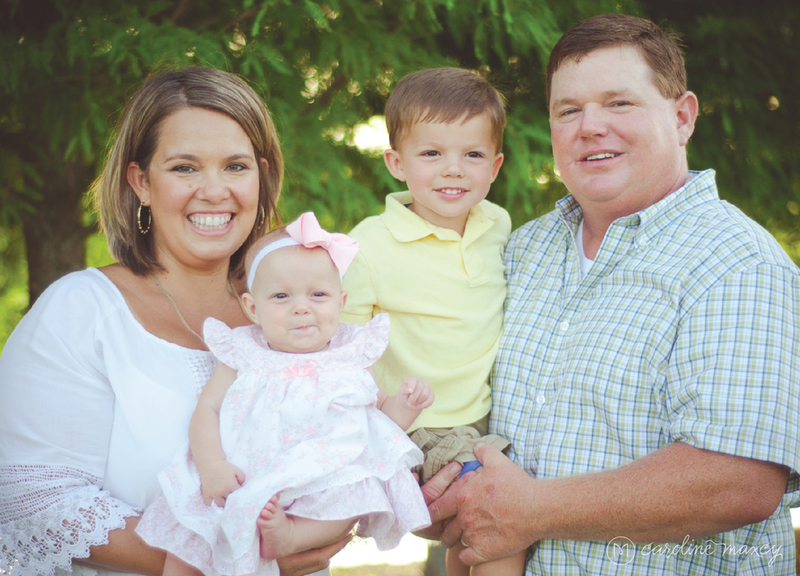 Thank you, Gose family, for inviting me in again to capture your growing family and all the smiles! I mean, just look at those smiley babes!